Drink driving or driving under the influence of drugs is regarded as a prime cause of accidents, many a time ending in serious injuries and death. Articles in the media related to driving under the influence of alcohol or drugs have been around for a long time. Regardless of the apparent fall in the number of incidents related to alcohol and drug driving, society does not appear to be happy with results. The provisions on breathalyser tests in the Traffic Regulations, Chapter 65 of the Laws of Malta, guide police officers on what they have to focus on when dealing with cases where tests for alcohol or drug driving are needed. 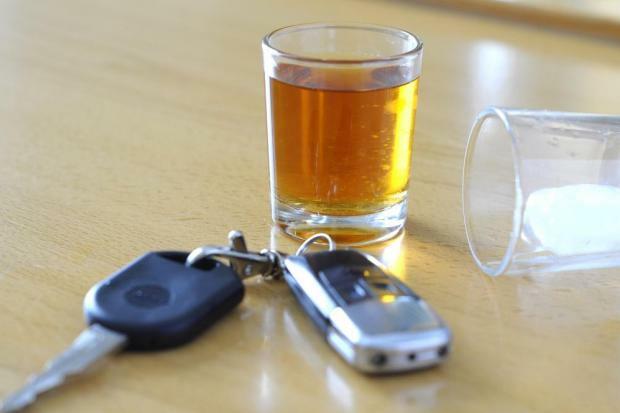 The provisions of the law state that police officers can only stop and question drivers and conduct breathalyser tests if they have ‘reasonable suspicion’ that a driver is intoxicated or is under the influence of drugs. The law does not permit police officers to stop every driver during road checks. Backed by knowledge and experience, police officers are generally in a position to identify certain signs in drivers who are under the influence of alcohol or drugs. Consequently, the police are legally bound to ensure that breathalyser tests are conducted to protect the public. Signs to identify drivers who may be under the influence of alcohol or drugs are generally also visible to the public, even though these lack the proper experience. Indications such as erratic driving, whereby drivers fail to observe traffic signs or swerve haphazardly,ccccccccccare obvious. Once these drivers are stopped by police officers and questioning takes place, the police can then confirm if the suspect is intoxicated or under the influence of drugs. Other signs include the smell of alcohol on a driver’s breath, as well as unclear speech or lack of eye contact. Even in traffic accidents where a driver puts his life at risk or the lives of those he comes into contact with while driving, breathalyser tests are carried out once there is reasonable suspicion and therefore once there are signs that the driver is intoxicated or under the influence of drugs. The law is supreme and, like the public, the police cannot act beyond what is provided in the law – the provisions within the Traffic Regulations. This is a situation that is the same internationally, where fundamental rights are cherished. Although in some cases one may disagree with the use of breathalyser tests, one has to understand that adherence to the law is important to protect both the public and the police. Another Christmas period has come and gone, and celebrations are over, fortunately with few road accidents. However, road accidents in general are on the rise. In April 2018, a local newspaper conducted a study on alcohol-related road accidents in Malta. The result was rather shocking: between 2014 and 2018 there have been 946 cases of drink-driving charges. Sadly, the police are not able to provide the specific number of fatalities linked to drinking and driving, but we know that an average of 16 people die on our roads every year. Every road death is one too many. We definitely need to make our roads safer. On a more positive note, one should also remark on the changing mentality in Malta. People are becoming more aware and are taking positive measures, such as choosing to carpool on a night out with friends, with the designated driver opting out from any alcohol consumption. Another encouraging development is that the number of Maltese opting to choose taxis and other similar transport systems as their ride home is growing. Awareness campaigns against drinking and driving are moreover becoming more effective and are contributing to this changing mentality. When it comes to surveillance of our roads with the purpose of preventing alcohol-induced incidents, the breathalyser test is the most commonly used tool. There is no doubt that efficient modes of measuring one’s alcohol intake and preventing road accidents from happening are necessary. However, the government must prioritise and make sure that our police force has the necessary resources to enable them to serve the public’s needs and protection in the most efficient way possible. The breathalyser test on its own will not guarantee safer roads. It needs to be accompanied by other security measures. We definitely need more investment in our intelligence systems. This will not only support the police force in their fight against drink-driving, but will also strengthen the action against organised crime, particularly the illegal importation of drugs. Since we are an island, it is of no surprise that most of our contraband comes from maritime sources. Therefore, investing in our coast guard security is also essential. The European Union is currently working to establish a European border policy which will improve border security. This is the way forward. As the President of the European Commission has rightly said, all EU member states are set to benefit from such a policy. For Malta, it will mean more security and surveillance in areas of organised crime ranging from irregular migration to the contraband of drugs and other illegal products. Ultimately, while tests and controls are important, these should not impinge on our own freedoms and our fundamental human rights. That is why a holistic approach which would include educational campaigns is required rather than just policing. That also explains why testing should at least in general be limited to the ‘reasonable suspicion’ concept and needs to be carried out with respect and courtesy to motorists. When motorists are under the influence of alcohol or drugs, they are not fully alert. The substance inhibits their coordination, which can result in catastrophic events and puts the lives of others in danger. Malta is a country that takes great pride in creating all these new laws, calling them innovative, and yet fails to implement them accordingly. The power for police to stop and test a driver where there is reasonable suspicion exists. They are granted the power to stop anyone if their suspicion is alerted because of erratic driving, slurred speech or other triggers. One has to question the reasons why the police do not exercise this power more often. Solving this problem comes down to education and common sense. The former by educating young men and women about the dangers of being heavily intoxicated and the latter should speak for itself. Unfortunately, from listening and speaking with young individuals, they appear to be under the impression that it’s cool to drink and drive as it shows ‘extra skill’. As with the management of most other issues, a clear direction, a consistent approach and allocation of sufficient resources often achieves the best results. We really don’t need to reinvent the wheel here, just applying what we have effectively would go a long way to solving the problem of irresponsible people driving under the influence. A further deterrent would be for Parliament to legislate even harsher penalties – including the suspension of licence and forcing the offender to re-take the driving test.